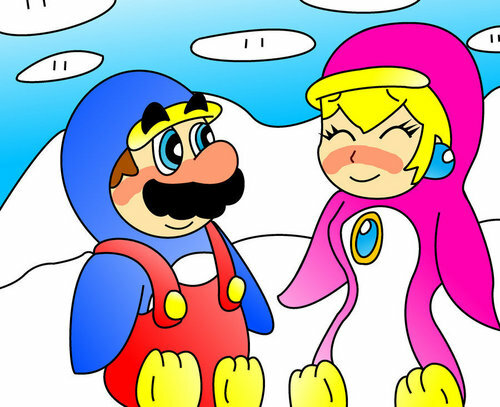 MarioxPeach: pinguïn Love. . HD Wallpaper and background images in the Mario and perzik club. This Mario and perzik fan art contains anime, grappig boek, manga, cartoon, and stripboek. She loves me of not? Mario and Princess perzik Honeymoon Love.